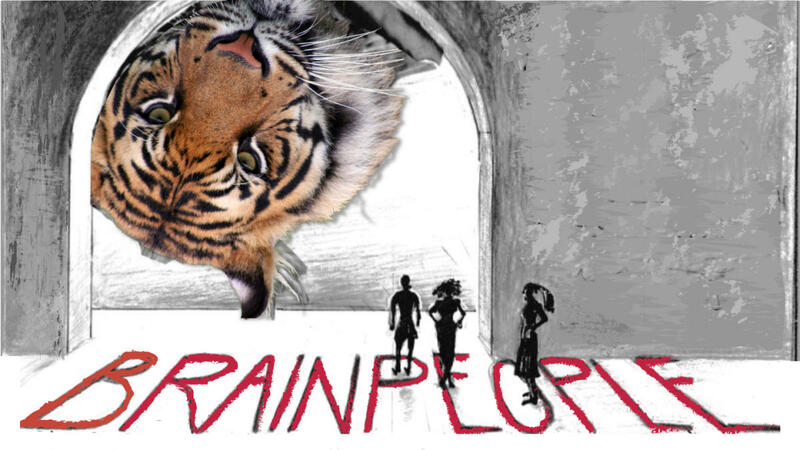 "Brainpeople" written by Jose Rivera, is a deeply psychological story of three women and the life events that haunt them. A wealthy Puerto Rican woman who is still obsessively grieving the parents she lost at age eight sends her armored limousine out into a violent, dystopian Los Angeles to pick up two complete strangers and bring them back to her home for an exotic feast and deep conversation. A mixture of comedy and chaos ensues when one of the guests, who suffers Dissociative Identity Disorder, brings along her crew of "brainpeople" and the other, a nervous, intelligent Armenian woman, reveals the source of her distrust of all people. The meal turns into an evening of brutal honesty and terrifying introspection. This Pacific Northwest premiere is produced by Latino Theatre Projects in association with Theatre Off Jackson and is directed by Fernando Luna. The complex characters are portrayed by Alyssa Norling, Sofia Raquel Sanchez, and Vero LeCocq.